So my boyfriend, Jessie, loves cheesecake. Like, he’s obsessed with it. Like, when I made those Cheesecake Cupcakes he ate at least twenty of them. And when the remainders got old and stale and forgotten in the garage fridge and were tossed and I had to explain this situation to him, he literally frowned. I could see depression in his face. So much, my mom got him a $50 gift card to the Cheesecake Factory for his birthday and we’ve got a measly $15 left. We’ve been multiple times in the past month. That, combined with my excessive interest and growing love affair for all things peppermint, eggnog and gingerbread; as well as over-estimating my calories-burned while working and power-Christmas-shopping, is resulting in tiiiight pants. This personal relationship with The Cheesecake Factory and food needs to end before my personal relationship with Jessie does. I’m not saying goodbye to food. Oh hell no. Boyfran’ can take a hike if he expected that one. I’ll always be on the comfortable side of the “Live to Eat” spectrum. Yeah whatever, I can skip the last two, but I do want to eat smarter. It’s better for the mind, the body, the soul, my relationship… and that means I can eat one or two cupcakes and savor them without inhaling fifteen cupcakes without tasting a thing. 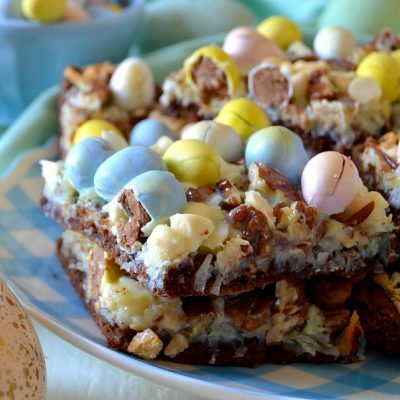 Don’t worry–I’m still going to post ridiculous amounts of buttery, sugary, caloric goodies no one (not even me and my hoity-toity-it’ll-last-one-week-diet) can resist. But I figured for those with actual willpower and the motivation to go the extra mile on the treadmill, win the staring contest with a cookie, and shimmy in a teeny dress will want something “smart”. And after like, five slices of TCF cheesecake in the past 2 weeks, I want to be “smart” too. 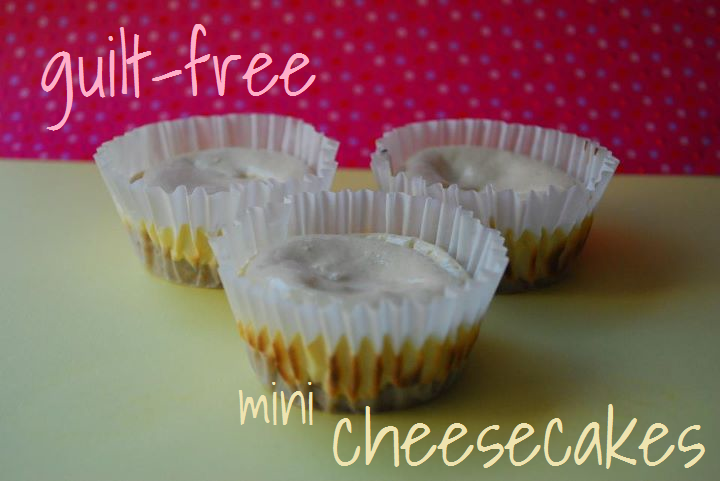 So I made Guilt-Free Mini Cheesecakes. They’re mini… which means you can eat at least three… or five, tops (or if your name is Jessie, twenty-two). And they’re guilt-free… which means after eating between three and twenty-two, you shouldn’t feel bad. MINI things don’t feel bad, people. Mini skirts never feel bad. Mini Coopers don’t feel bad. 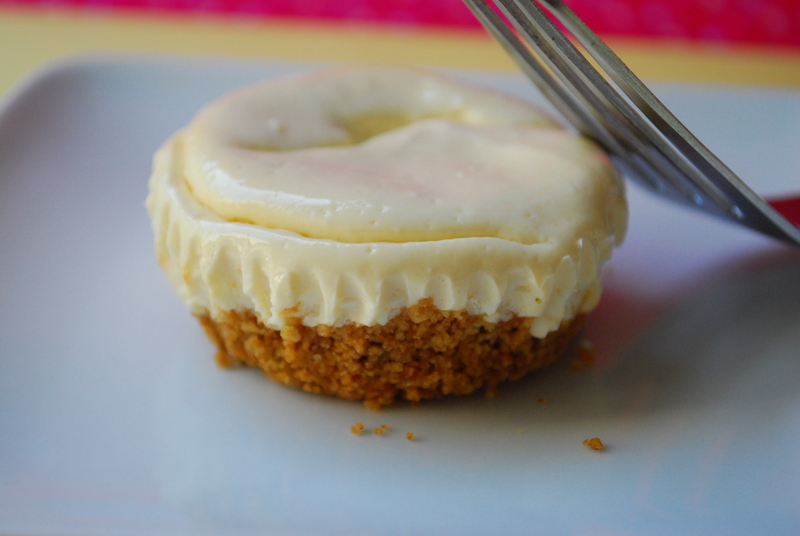 Mini cheesecakes… they don’t feel a damn thing except delicious in your mouth. So eat those four mini cheesecakes. I don’t care. Jessie doesn’t care (okay, he probably does since he wants them more than you). And mini cheesecake DON’T CARE. Also, in case you’re wondering (because if I were you, I would wonder too): while I like healthy food, sometimes I feel jipped with the final product, like, why did I eat three rice cakes that tasted like bird seed when I could have had a small handful of chips I actually liked? Or, why did this low-fat meal promise to taste like mac and cheese when it really tasted like a cheeseless-flavored sauce with wimpy noodles? Don’t worry. These cheesecakes really taste like cheesecake–rich and creamy, with a buttery graham cracker crust. 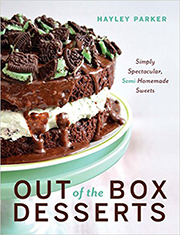 And you can always jazz them up with different flavored extracts, fresh fruit, low-fat whipped cream, chocolate sauce… whatever piques your interest on that particular day. Guilt-free cheesecake base, endless possibilities. 1. Preheat oven to 300 degrees F. Line 2 muffin pans with around 20-24 paper liners, as this recipe can make anywhere in that ballpark. 2. In a medium bowl, mix together the graham cracker crumbs and the melted butter with a spoon until well blended. 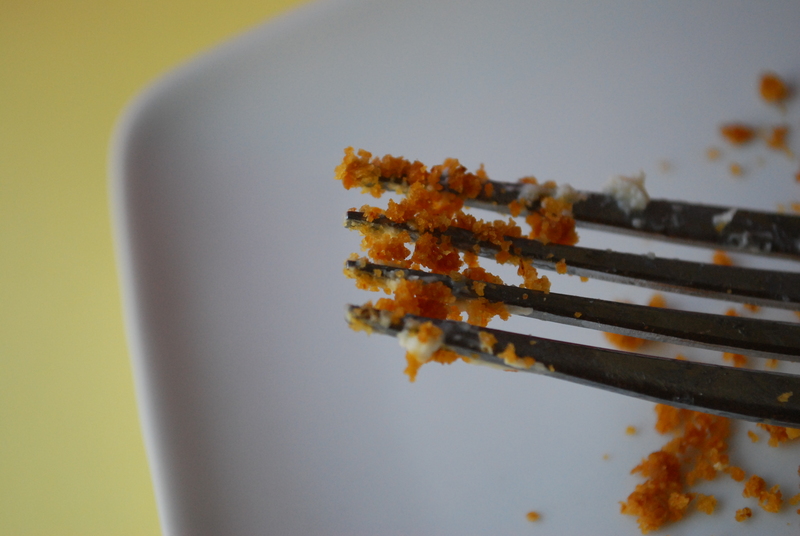 Spoon a small teaspoonful of cracker crumbs into the bottom of each muffin cup. Use the flat side of your knuckle to gently press the crumbs onto the bottom of each muffin cup in an even layer, creating a crust. Set aside. 3. Meanwhile, in a large bowl, beat together the cream cheese, sugar and vanilla extract until blended and creamy. Add eggs, one at a time, beating well after each addition. Portion cheesecake filling evenly among the muffin cups (I used two scoopfuls with my cookie dough scoop) about 2/3 full. 4. Bake for approx. 22-25 minutes, checking around this time marker, until center is just set. Allow to cool around an hour in the pans, then place in the fridge to chill for another 1-2 hours before serving. 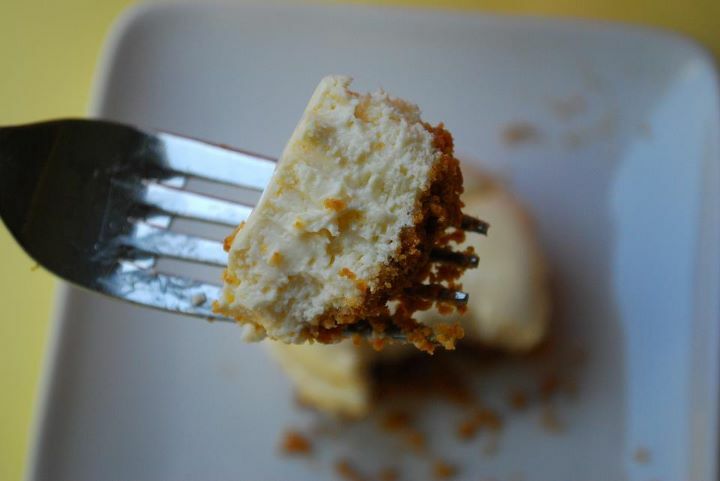 **Note: The tops of these cheesecakes may crack and will more than likely deflate. 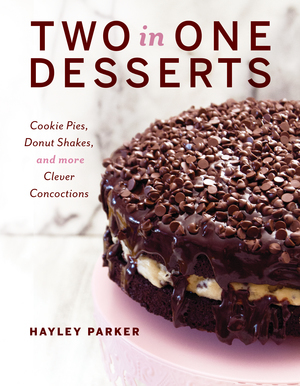 I didn’t mind, but if you do, consider topping it with whipped cream to hide the cracks. This does not alter the flavor or texture of the cheesecakes; it’s just a part of life, like giraffes having long necks or Victoria’s Secret being too expensive. I neglected to tell Jessie these were low-fat cheesecakes… and not surprisingly, he didn’t notice and ate his weight in them. I love how cute and portable these little minis are! So fun and versatile. I hope you all have a very Merry Christmas and Happy Holidays to you all! You better wake up early on Christmas morning (note: early is any time before 8… any time past 8 is considered late and I question your will to live) and tell me what Santa brought you! These sound wonderful, & i am trying the eggnog cookies tomorrow!Do you ever sleep? MJ–let’s just say during the holidays there are more sugar plums dancing than sleeping in my head. I’m planning on conking out tonight and sleeping in tomorrow though! Happy Holidays to you!